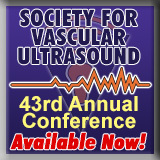 The SCBT-MR 41st Annual Course (2018) New! 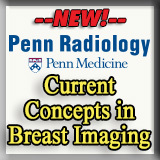 includes over 100 experts sharing their wide ranging insights on the body imaging practice. Worth up to 35.75 AMA PRA Category Credits™, this activity meets the entire Self Assessment requirement for ABR Maintenance of Certification (MOC). 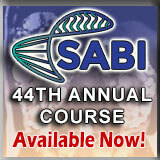 Additionally, the SCBT-MR 41st Annual Course meets ACR CME requirements for accreditation in both CT and MR! Topics include retroperitoneum, urinary tract, cardiothoracic, pelvis, multi energy CT, leadership, professional development, MR advances, informatics, prostate, GYN, artificial intelligence, hepatobiliary, abdomen, bowel, msk, molecular, interventional, vascular imaging and much more! Available Now! SCBT-MR 40th Annual Course (2017) With over 40 hours of presentations and workshops, this is the largest Annual Course ever! More than 80 internationally renowned experts present the latest advances in Body CT and MR. Topics include multi energy CT, abdominal, bowel, pelvis, technical advances, liver, Gadolinium deposition, kidney, pancreas, thoracic, cardiac and interventional imaging. Available Now! SCBT-MR 39th Annual Course (2016) features over seventy internationally acclaimed experts presenting the hottest topics in Body CT and MR. Subjects include Dual Energy CT, Dose Reduction, Thoracic, Pelvis, Abdominal, Cardiac, MSK, Oncologic, Gastrointestinal, Genitourinary, Colonography, Liver, New Advances and multiple workshops. 35 AMA PRA Category 1 Credits™ are enough to meet the entire Self Assessment requirement for ABR Maintenance of Certification (MOC). Also Meets ACR CME Requirements for Accreditation in BOTH MR and CT! 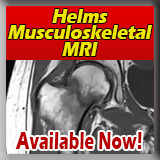 Duke Radiology Body & MSK Imaging New! This multi-modality review features Duke Radiology’s expert faculty analysis of state of the art practices in body and musculoskeletal imaging. Best techniques for MR, CT, DECT, PET, SPECT and Ultrasound are presented, with emphasis on practical, everyday application for optimal results.. Worth up to 15.5 AMA PRA Category 1 Credits™, which are all applicable to Self Assessment CME requirements for Maintenance of Certification! Available Now!